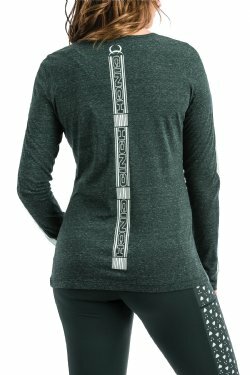 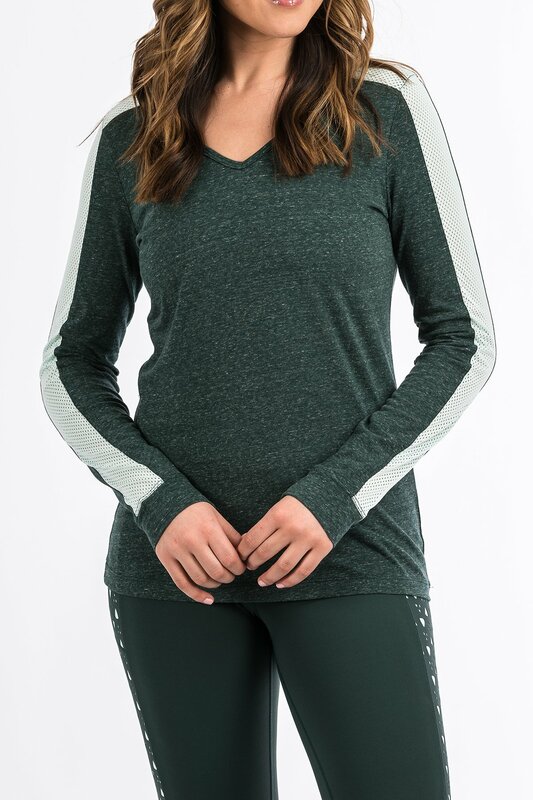 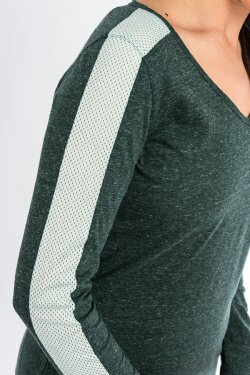 Suited for every cowgirl's workout outside the arena, our forest green heathered cotton-poly tee is perfect for a jog in the park or a trip to the gym. 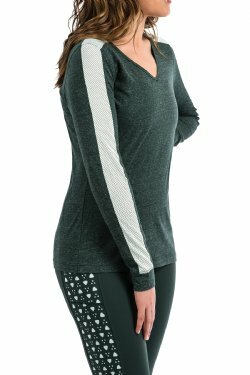 This long-sleeved tee features mesh piecing and back logo screen print. You can earn 350 Rewards Points on this product!